Financial creditors and home buyers of Jaypee Infratech have extended the deadline till February 15 for shortlisted bidders to deposit proposals to revive the debt-ridden realty firm, according to a regulatory filing. The four shortlisted bidders, state-owned NBCC, Kotak Investment, Singapore-based Cube Highways, and Suraksha group, were earlier demanded to submit resolution plans by January 27 to revive Jaypee Infratech, which is undergoing insolvency proceedings in the National Company Law Tribunal (NCLT). The proposal of ‘Extension of the last date for submission of Binding Resolution Plans by the Resolution Applicants till 15th February 2019’ was approved by the Committee of Creditors (CoC) by around 70 percent vote, Jaypee Infratech said in a regulatory filing. In the last CoC meeting held on January 17, NBCC, Cube Highways & Infrastructure, and Suraksha ARC requested for extension of timelines for submission of binding resolution plans in order to get necessary internal approvals. “CoC members deliberated on the request and decided to extend the last date for submission of Resolution Plans till February 15, 2019, so as to ensure that Resolution Plans are submitted by the Resolution Applicants,” it further said. The committee also approved the extension of CIRP (Corporate Insolvency Resolution Process) for a further period of 90 days with a voting percentage of over 71 percent. It had last month approved the evaluation criteria to be adapted to select a bidder for taking over the realty firm. 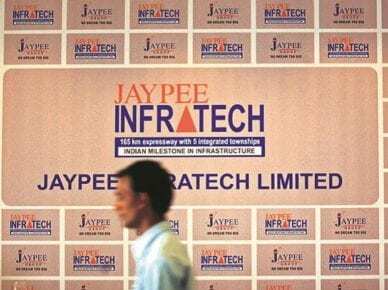 In October 2018, Jaypee Infratech’s interim resolution professional (IRP) Anuj Jain started a fresh initiative to revive Jaypee Infratech on NCLT’s direction after lenders rejected over Rs 7,000 crore bid of Suraksha group. In 2017, the NCLT had admitted the application by an IDBI Bank-led consortium seeking resolution for Jaypee Infratech under the Insolvency and Bankruptcy Code (IBC). The tribunal had appointed Jain as IRP to manage the company’s business and invite bids from investors. Consequently, Lakshdeep, part of Suraksha group, had emerged as a front-runner to acquire the firm. However, in May last year, lenders rejected the Rs 7,350 crore bid by Lakshdeep as they found the amount to be inadequate. The realty firm has an outstanding debt of nearly Rs 9,800 crore, of which Rs 4,334 crore pertains to IDBI. Other lenders are IIFCL, LIC, SBI, Corporation Bank, Syndicate Bank, Bank Of Maharashtra, ICICI Bank, Union Bank, IFCI, J&K Bank, Axis Bank, and Srei Equipment Finance. Jaypee Infratech, a subsidiary of Jaypee Group’s flagship firm Jaiprakash Associates, is developing about 32,000 flats, of which it has delivered 9,500 units. Jaiprakash Associates had submitted Rs 750 crore in the registry of the Supreme Court for a refund to buyers. However, this amount has now been transferred to NCLT as per an order of the apex court.